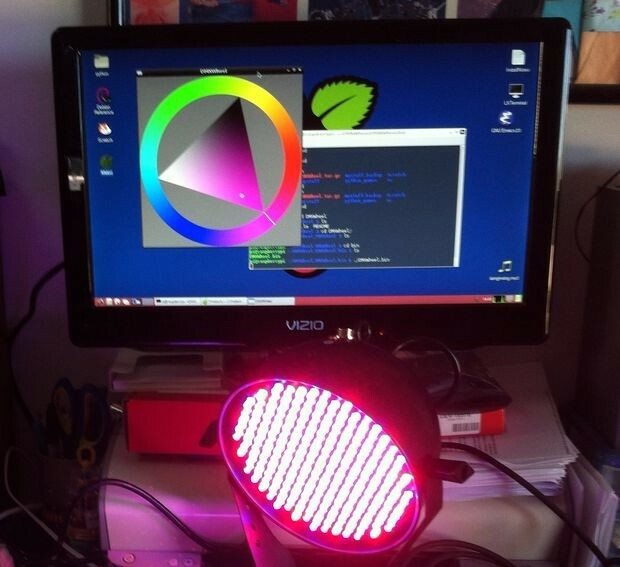 This instructable shows you how to display a color wheel editor window on the screen of a Raspberry Pi computer, which you can manipulate with your mouse. As you change the color on the screen, the color on the DMX light fixture changes in realtime to match. This can serve as a starting point for a variety of simple lighting projects using the Raspberry Pi ( i.e. haunted houses, onscreen light control panel, TV backlights, living room DJ setup, etc. ). 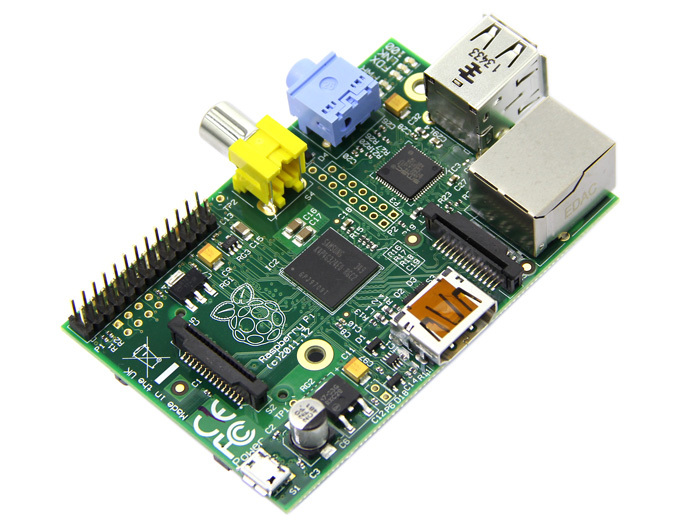 The Raspberry Pi is an amazing $35 credit card sized computer that contains all the basic features of a"real"computer, including a free pre-built Linux operating system (via SD card), USB for keyboard and mouse, and most impressively a full HDMI video output. If you are new to the Raspberry Pi ( orraspi ) we strongly suggest you get your mitts on one as soon as possible - its a great platform for anyone interested in knowing more about how computers work, and you can actually write programs on it! Theraspi has a built-in I/O connector for doing all sorts of cool things, but for this project we chose to use one of the USB ports as our output interface because its simpler and more rugged than using breadboards and ribbon cables. To get things into DMX (digital light control) format, we will be using aVelleman USB to DMX interface. This can be bought in either kit or pre-built form, and is a really a great introduction to controlling DMX devices from a computer. Once you have this controller you'll find it a great tool for any lighting control project you may cook up in the future. Pretty much any DMX controlled light fixture that has red, green, or blue channels will work, and in fact you can chain together several if you want t control a whole bank of lights from your raspi. In this example we are using aChauvetLEDSplash200B spotlight because we found one cheap online for about $60 and its very bright and runs cool. If you have a DMX dimmer and standard PAR cans that's fine too, its only important that you have a device that can receive red, green, and blue intensity channels. Perhaps the best feature of the raspi is its HDM interface (compare with Arduino video output), which provides a full 1920x1080 graphics resolution to any TV screen that has an HDMI input. In this example we used a cheap Vizio monitor that we had in our kitchen, and functions nicely for a video monitor. It might be interesting to to use this kind of system as a starting point for a TV back light project or similar living room light effects when you move it into your living room since you have the video interface right there. 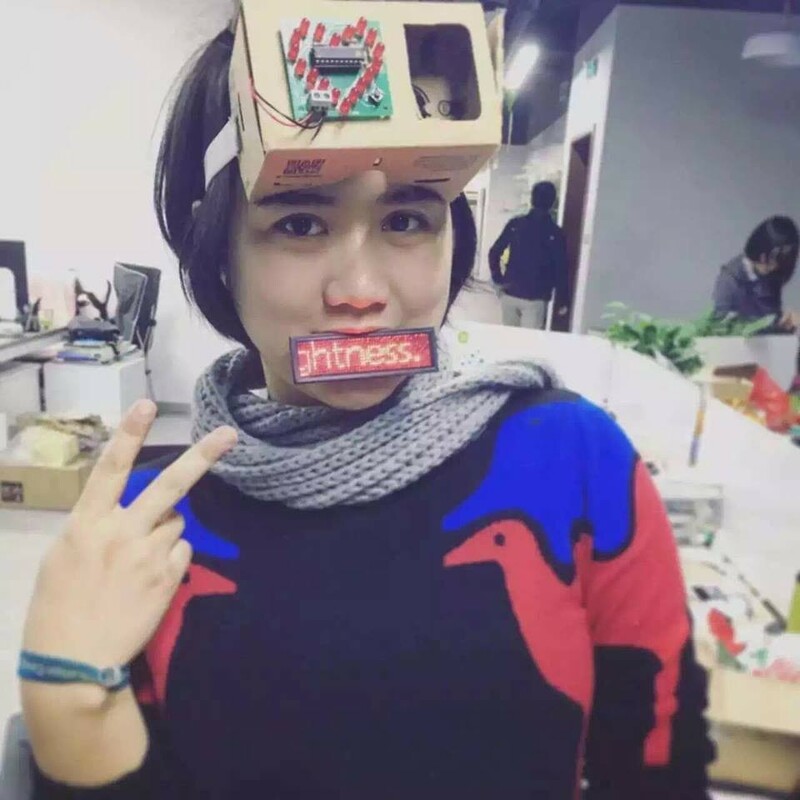 This project is using the stock Raspian"wheezy"operating system, which you can download for free from the Raspberry Pi Foundation website. This page has complete details on how to get the OS to your SD card - its very straightforward procedure, and in less than 20 minutes you should be able to plug the SD card into your raspi and have it booted and ready for business. This will unpack the DMXWheel application code on your desktop to a folder named"DMXWheel". You can open this folder to find the code that is referred to in the rest of this instructable. At this point you should have the raspi ready to go for the rest of the project. The software you will be using will be found in the DMXWheel folder on your desktop. Take a minute to look through this folder and read the README file - it provides valuable information on what the code is, what is does, and how to run it. We will go through some of the basics, but this README file can serve as your local reference documentation. 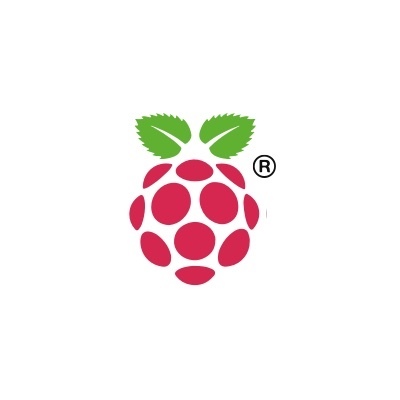 There is a huge amount of coolness to explore on the raspi, so when you have some time explore the Raspberry Pi foundation forum to get some great ideas as well as support from the raspicommunity. Now that your raspi is ready, the next step is to connect the lights to it. This is a simple procedure that basically involves connecting a USB cable from the raspi to the DMX interface, and a DMX cable from the interface to the light fixture you are using. First let's take a look at the DMX converter. As you can see from the picture, the unit requires a USB (D) input, which is the most common USB cable connection. Odds are that you already have one of the D to flat USB connectors lying around somewhere. The DMX out connector is a standard XLR connector commonly used for microphones and other balanced audio functions; these cables for fine so don't bother getting a DMX specific cable unless you feel the need to spend more money. One thing that you may have observed is that the raspi has two USB ports, both of which are currently in use by your keyboard and mouse. For this reason we recommend you look into a cheap powered USB hub; you may already have one sitting around somewhere, or might find a keyboard that has a mouse integrated into with (i.e. internal hub). We were able to get a powered hub for $10 at OfficeMax on clearance, so with a bit of shopping you'll find it will make life easier when working with the raspi. Another reason to get a powered hub is that it takes the power load off the USB connection on the raspi, thus reducing the power load on the supply on the raspi. You can, of course run this project without the hub (by disconnecting the keyboard after launching the program), but it can be cumbersome to develop the application in any significant way doing this. To finish up with the raspi to light connection, connect the USB cable from the converter to the raspi, and from the convertor to your DMX light unit. At this point you should have cables that connect the mouse, keyboard, monitor, DMX converter, and light all together, and you're ready to fire up the program. The last thing to do in the project is to fire up the program and have some fun! The source code included in the DMXWheel distribution contains two programs that are needed to run the project. The way the code works is that there is one program that runs as a background process that reads a shared memory location that contains the states of the DMX channels. A second program runs directly in the foreground and brings up the color editor and changes the intensity values in the shared memory segment. This division of labor allows the raspi to keep a constant line of communication open the the DMX controller and updates at a fixed interval, regardless of what application program manipulates the shared memory. The two programs communicate with each other using a C library that contains simple functions to set the DMX channel data so that the shared memory operation is transparent. When this program starts, it prints out some basic status information about the USB connection, and then goes quiet while it transmits the DMX channel data to the DMX interface. Note that this program must be run as an administrator (sudo), and runs in the background (&). Congratulations on a job well done. After experimenting a bit with the color wheel, a wide variety of outrageous ideas will most likely pop into your head. With the hardware you have in your possession you have all the resources you need to use DMX compatible devices in your raspiapplications.Its time to start making! 1.check out DMXWheel.c This program is very simple but shows you two important things. First, it shows you how to use the DMX library function calls to set DMX channels. You can easily change the code to support different channels, additional channels, and so on. Second, it shows you how to open up a GTK window on the screen. With a bit of googling on GTK you'll find a whole library of functions to create your own on-screen interfaces without having to start from scratch. 2.checkoutdmxd.c This program is the other side of the shared memory coin and does the serial command communication for the DMX controller. This code describes the packet format for sending data and gives you the nuts and bolts on how the DMX controller interprets the data. 3.check out other DMX units There are a lot of cool DMX controlled devices - this simple application just writes three channels of the available 512 that represent red, green, and blue for a light unit, but you can also support motors, lasers, strobes, and all kinds of smart units with just a bit of code tweaking. applications become available to make your projects come to life. This tutorial is originally created byflashular.